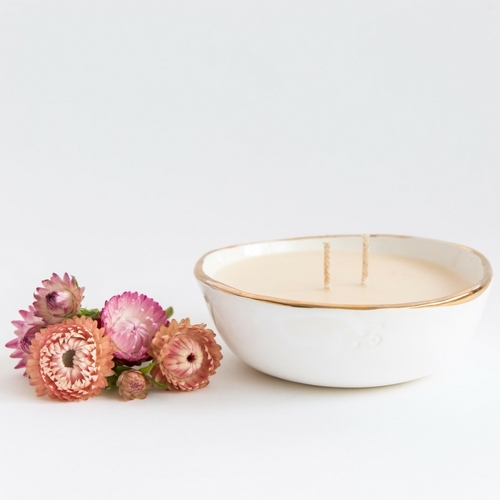 Beautiful Handmade ceramic soy candle bowl with a gold edge. Approximately 400ml. No two of these special bowls are the same. Comes double wicked and gift boxed. Handmade with love on the Gold Coast, Australia.